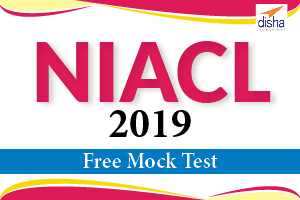 Practice is the key to success My Learning Graph has launched online test series with FreeMock Tests and Free mock test for NIACL AO 2018 Exam where you can find preparation tests for the exam. These mock tests will help you determine your current status of the preparation and will help you elevate yourself and prepare yourself for the exam.Each mock test has the detailed analytical reports which would help aspirants identify the areas they need to work the most on. NIACL has introduced sectional time limits in the prelims exam from this year. Therefore, it has become imperative for aspirants to perform well in the following three sections to clear the exam. This mock test series contains three section wise mock Tests, details are below. Mock Test series is the crucial part of preparation process. Taking NIACL AO 2018 Exam - 5 Mock Tests Series in the actual exam pattern is paramount to scoring well in the exam. 1. 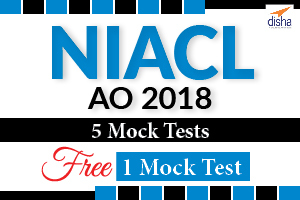 Taking NIACL AO 2018 Exam - 5 Mock Tests Series will help get used to the difficulty level of the exam. 2. You will get a clear idea about NIACL AO exam pattern. Practice is the key to success My Learning Graph has launched online test series with 5 Mock Tests and Free mock test for NIACL AO 2018 Exam where you can find preparation tests for the exam. These mock tests will help you determine your current status of the preparation and will help you elevate yourself and prepare yourself for the exam.Each mock test has the detailed analytical reports which would help aspirants identify the areas they need to work the most on. 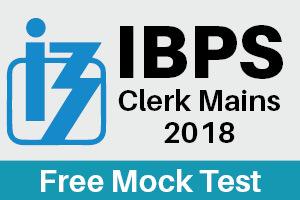 Practice is the key to success My Learning Graph has launched a Free Mock Test for IBPS Clerk Main 2018 where you can find preparation tests for the exam. These mock tests will help you determine your current status of the preparation and will help you elevate yourself and prepare yourself for the exam. Each mock test has the detailed analytical reports which would help aspirants identify the areas they need to work the most on. IBPS has introduced sectional time limits in the mains exam from this year. Therefore, it has become imperative for aspirants to perform well in four sections to clear the exam. This mock test contains four sections wise mock Tests, details are below. Given below is the Full Test given in the form of 4 Sectional Mock Tests. You should attempt the 4 tests one after the other without taking any gap. Each Test has its own fixed time and the test will be over immediately after the stipulated time. Mock Test series is the crucial part of the preparation process. 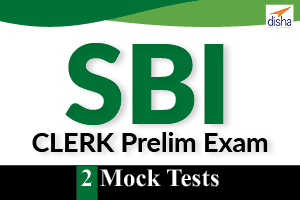 Taking IBPS Clerk Main online Mock test in the actual exam pattern is paramount to scoring well in the exam. 1. 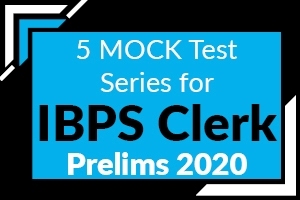 Taking IBPS Clerk Main Mock Test Series will help get used to the difficulty level of the exam. 2. 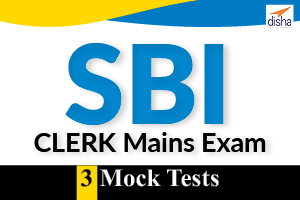 You will get a clear idea about IBPS Clerk Main exam pattern. Practice is the key to success My Learning Graph has launched online test series for IBPS Clerk Main 2018 Exam where you can find preparation tests for the exam. These mock tests will help you determine your current status of the preparation and will help you elevate yourself and prepare yourself for the exam. Each mock test has the detailed analytical reports which would help aspirants identify the areas they need to work the most on. 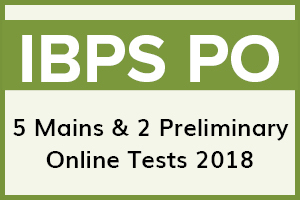 Practice is the key to success My Learning Graph has launched online test series IBPS PO Mains 2018 exm where you can find preparation tests for the exam. 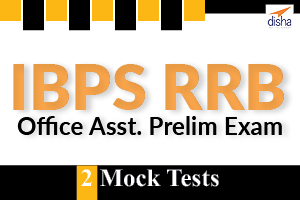 These mock tests will help you determine your current status of the preparation and will help you elevate yourself and prepare yourself for the exam.Each mock test has the detailed analytical reports which would help aspirants identify the areas they need to work the most on. 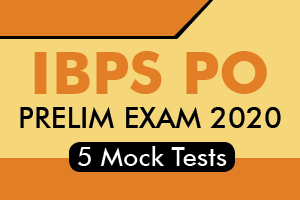 IBPS has introduced sectional time limits in the prelims exam from this year.Therefore, it has become imperative for aspirants to perform well in 4 sections to clear the exam. Each Mock Test consist of 4 Sectional Mock Tests, (total 20 sectionwise tests) You should attempt the 4 tests one after the other without taking any gap. Each Test has its own fixed time and the test will be over immediately after the stipulated time. 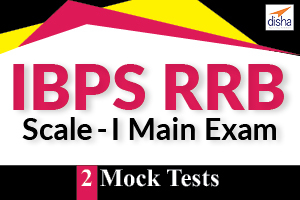 Practice is the key to success My Learning Graph has launched online test series IBPS PO Mains 2018 exm and free mock test for IBPS PO Mains Exam 2018 where you can find preparation tests for the exam. These mock tests will help you determine your current status of the preparation and will help you elevate yourself and prepare yourself for the exam.Each mock test has the detailed analytical reports which would help aspirants identify the areas they need to work the most on. The Free Mock Test consist of 4 Sectional Mock Tests. You should attempt the 4 tests one after the other without taking any gap. Each Test has its own fixed time and the test will be over immediately after the stipulated time. My Learning graph offers 5 IBPS Clerk Mock tests in the latest pattern with detailed solutions & analysis. The mock test have been carefully designed to mimic the actual exam in terms of content and pattern. Each mock test has the detailed analytical reports which would help aspirants identify the areas they need to work the most on. 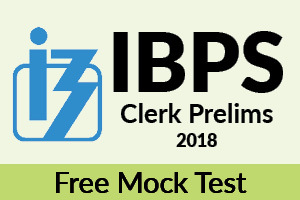 IBPS Clerk is one of the most competitive exams in India which provides the opportunity to work in various centralized Bank on the Clerical post. 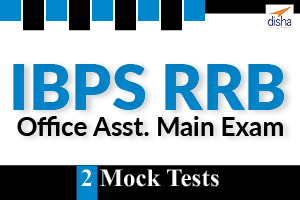 IBPS conducts annually an online exam know as common written exam or CWE for IBPS Clerk vacancies. 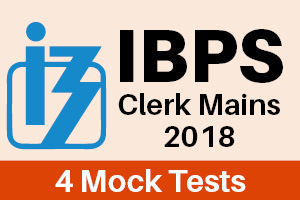 Cut off for IBPS Clerk exam 2018 is usually released individually for different sections. Candidates can check the IBPS Clerk Prelims sectional Cut off below. Practice is the key to success My Learning Graph has launched online test series for IBPS PO Exam 2018 where you can find preparation tests for the exam. These mock tests contain 2 prelims and 5 mains tests paper will help you determine your current status of the preparation and will help you elevate yourself and prepare yourself for the exam. Each mock test has the detailed analytical reports which would help aspirants identify the areas they need to work the most on. IBPS has introduced sectional time limits in the prelims exam from this year. Therefore, it has become imperative for aspirants to perform well in three sections to clear the exam. This mock test contains 3 section wise mock Tests , details are below. IBPS has introduced sectional time limits in the mains exam from this year. Therefore, it has become imperative for aspirants to perform well in out of five sections four sections are objective based and one section is descriptive. This mock test contains four sections wise mock Tests, details are below. Step 4: All the Mock Tests will be visible in the grid -> Click “Start” to start the specific section wise test. 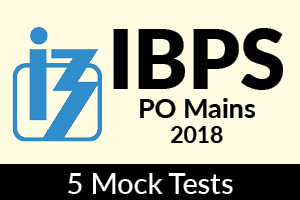 Practice is the key to success My Learning Graph has launched online test series with 5 Mock Tests and Free mock test for IBPS PO Pre Exam 2018 where you can find preparation tests for the exam. These mock tests will help you determine your current status of the preparation and will help you elevate yourself and prepare yourself for the exam.Each mock test has the detailed analytical reports which would help aspirants identify the areas they need to work the most on. Mock Test series is the crucial part of preparation process. 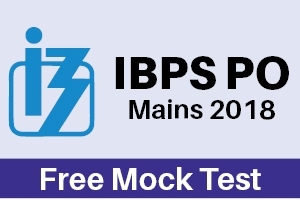 Taking IBPS PO online Mock test in the actual exam pattern is paramount to scoring well in the exam.